The Four Horsemen’s 2013 Power-Con Panel!! … or at least half of it anyway. Hopefully someone (who didn’t have technical difficulties) taped the other half. Lots and lots of good info here regarding Power Lords, The New Power Lords Fan Club, The Four Horsemen’s Gothitropolis Raven Kickstarter, Master’s Of The Universe and more. Featuring Nate Baertsch as moderator and the Horsemen crew – Eric Treadaway, Jim Preziosi, H. Eric “Cornboy” Mayse, Shane Dittsworth, Sherri Cook and Owen “O-Dawg” Oertling. 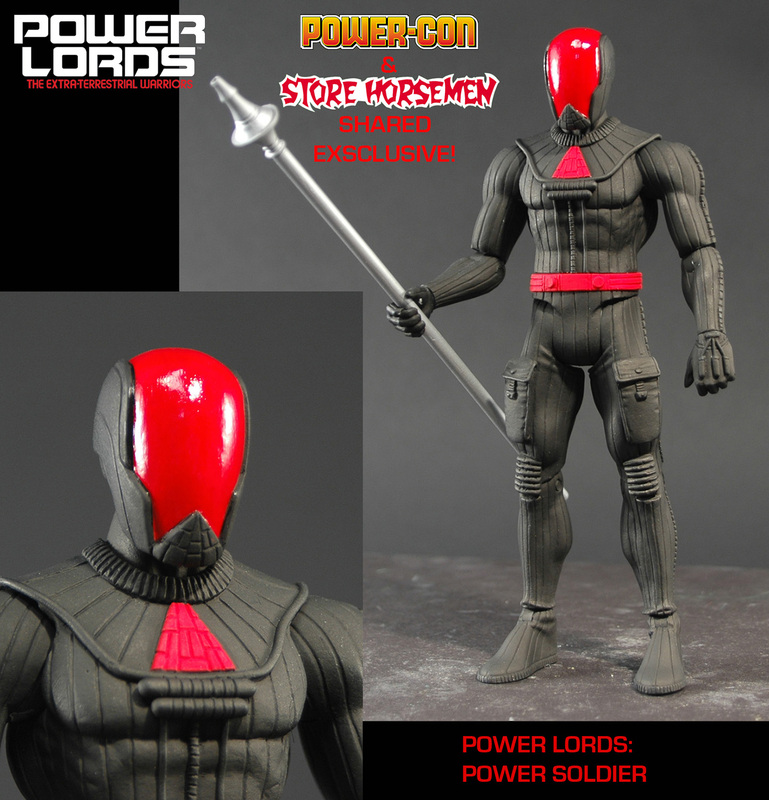 Four Horsemen’s New Power Lords Toys Sell Out Prompting A Re-release To Meet Huge Demand! The Four Horsemen Power Lords Exclusives sold out in mere minutes at Power-Con and just seconds online. If you weren’t part of that huge line that formed in front of the Horsemen’s booth as soon as Power-Con started, or if you were a minute late or didn’t have a sizzling fast internet connection when the Power Soldiers went up on StoreHorsemen.com the Monday after Power-Con, it seemed like you were just going to be out of luck when it came to grabbing these exclusives. Well, who doesn’t love second chances? The good news is that the Horsemen are going to re-release these figures so that folks who missed out the first time can get them and those who want more of these nifty army-builders can get more of them. As you may know, the recent releases of our Power Lords: Power Soldiers and Elite Power Soldiers were far more popular than we were expecting and not only did the allotted amount of 250 pieces sell out at the 2013 Power Con in less than 40 minutes, but the 250 pieces that we had set aside to sell on Store Horsemen sold out in less than 4 minutes. Needless to say we were stunned and had a tough time managing the traffic that hammered our online store in that few minutes. So much so that we had accidentally taken orders for over than 200 more pieces before we had the chance to put all orders on hold to check the order amounts versus the amount we were actually going to have in stock. Even then we realized that there were MANY other fans that still wanted to get their hands on these figures, but for one reason or another weren’t able to. We’re going to put these figures back up for pre-order for those of you that missed out, and you’ll have 72 hours beginning Thursday, September 19th at 3:00pm to place your pre-orders. We’ll then run however many orders for each figure that we get during that time period. Once the sale ends, the ability to get those two figures ends. These figures will have stickers on the outsides of their poly-bags which will be numbered #251 and up (the figures that have sold so far are numbered 1 to 250) and will be placed into orders randomly. We’ve been told by factory representatives that we can have this new pre-ordered run of Power Soldiers & Elite Power Soldiers in our warehouse by mid-November. As soon as we receive them, we’ll immediately begin processing them and shipping them out to customers. For those of you who have already placed an order through Store Horsemen – some of you were able to order successfully and you were able to purchase one of the 250 pieces that were available. You’ll know who you are when your account is charged later today or tomorrow. For those of you that were able to mistakenly place orders after we’d sold out of our original stock, your orders will still be honored and your account will be charged, but you’ll also receive an email stating that your order will be put on hold, has now become a pre-order and that the figures will ship out to you as soon as they arrive in our studio warehouse. If you’d rather not wait to receive your figures, we’d understand and we’ll be glad to cancel your pre-order and refund your money if you request for us to do so. Thursday, September 19th at 3:00pm to Sunday, September 22nd at 3:00pm. http://www.StoreHorsemen.com/. Power Lords. Power Soldiers & Elite Power Soldiers. Get them before they retreat into Volcan Rock forever. Horsemen Extend Siege at Bjorngar PreOrder!! Mythic Legions Soul Spiller PreOrder Extended!! 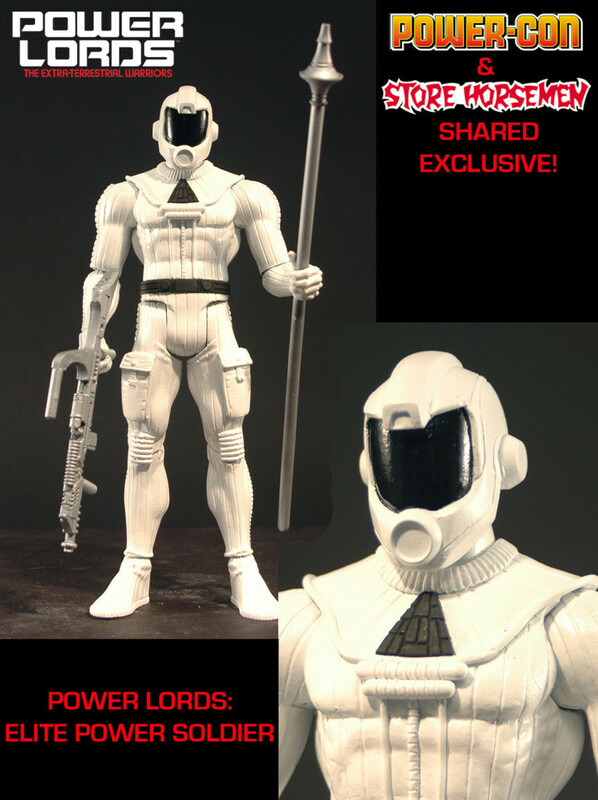 POWER LORDS PRE-ORDER ENDS TOMORROW!! POWER BUILDERS ADDED TO PRE-ORDER!!! site on: It's the Ho-ho-Horsemen's Christmas-terpiece!!! Sculpting A Perfect Castle Grayskull in 12 steps! chatvideo blog on: POWER LORDS PRE-ORDER ENDS TOMORROW!! Quentin on: POWER LORDS PRE-ORDER ENDS TOMORROW!! aso optimization on: News Flash!! Wayne Barlowe Discovers a Long-Lost Treasure Trove Full of Power Lords History!! app marketing agency on: News Flash!! Wayne Barlowe Discovers a Long-Lost Treasure Trove Full of Power Lords History!! apple store optimization on: News Flash!! Wayne Barlowe Discovers a Long-Lost Treasure Trove Full of Power Lords History!! apps trending searches on: News Flash!! Wayne Barlowe Discovers a Long-Lost Treasure Trove Full of Power Lords History!! app store optimization tools on: News Flash!! Wayne Barlowe Discovers a Long-Lost Treasure Trove Full of Power Lords History!! boost app downloads on: News Flash!! Wayne Barlowe Discovers a Long-Lost Treasure Trove Full of Power Lords History! !